There are thousands of people who launch beauty blogs each and every year. But unfortunately, most of them end up failing because they aren’t able to create enough content that people want. Do you want to avoid having this happen to you? If so, you should make it a point to deliver the best possible beauty content to your blog readers — this applies to both bloggers, content creators, and freelancers alike. As a beauty blogger or social media influencer, your goal should be to make those who come to your blog or online profile look and feel their best. You can do this by providing them with great beauty advice. If you’d like to see some real examples of the top players in this space, look no further than any of the top profiles in reference to fashion on Instagram. Here are 9 tips that will help you come up with the right advice for those who trust you to be their beauty blogger. Before you launch your own beauty blog, you should look around at what all the other beauty bloggers that are out there are doing. Set aside a weekend and spend it scrolling through the blog posts that other bloggers are creating. Write down what you like and what you don’t like about the different blogs that you come across. This will provide you with plenty of inspiration for your own beauty blog. You can find a way to incorporate some of the things that you like into the mix on your blog while steering clear of making some of the mistakes that other bloggers are making. It’s good to know what kind of competition you’re going to be up against, too. The only way you’re going to find out is by checking it out for yourself. Once you have a good idea of what other beauty bloggers are bringing to the table, your next step should be to find your own unique niche. You want to make sure you’re putting together a blog that will offer content people can’t find anywhere else. Rather than focusing on the beauty industry as a whole, consider targeting a specific aspect of beauty that you want to cover. This will allow you to focus all your efforts on one thing rather than spreading yourself too thin. Are you going to be blogging for teenage girls? Professional women who want to create the right look for the workplace? Men who need help grooming themselves without spending a fortune? Instead of trying to write blogs that cater to everyone, it’s best to provide advice to a very specific group of people. You should figure out who your audience is sooner than later so that you can start writing blogs for them. People aren’t going to trust your beauty blog to provide them with beauty advice if it doesn’t look, well, beautiful. If you’re serious about launching a successful beauty blog, find a website designer who can bring all of your many ideas to life. They should be able to create the perfect layout for your blog based on how you want it to look for your readers. A high-quality camera is a beauty blogger’s best friend. Without a camera, beauty bloggers won’t be able to show off the latest beauty products and techniques. You might not want to throw down a substantial amount of money for a pricy camera right away. It’s good to get your feet wet before you do. But eventually, you’ll need a camera that’s capable of capturing the best images and videos possible for your blog. It’ll help set your blog apart from all the rest. The beauty industry is worth upwards of $450 billion. As a result, it’s filled with more products and services than you could ever count, let alone test. But that shouldn’t stop you from trying to test out as many of them as you can. You could very well stumble upon a great product that no one else knows about for your blog. It’ll differentiate your blog from the rest when you’re showing your readers products and services they can’t find anywhere else. When it comes to creating content for your audience, you need to know what they are looking for, and how to provide them with the best content possible. For a clear example of how to accomplish this, look no further than Rockwell Razors, which have created an excellent article on “What Causes Razor Bumps And How Can You Stop Them”. Not only does this apply to a large audience and ranks well in the search results, it also targets a lot of individuals who would likely go on to purchase from their site as well. If you’re going to be a beauty blogger or social media influencer, you can’t afford to slap together low-quality posts that don’t provide people with nearly enough information. You need your posts to be incredibly detailed while still being easy to understand. Prepare to spend at least a couple of hours on each post that you do. Additionally, try to establish a unique tone and voice for your blog right from the very beginning so that people know what to expect when they come to it. The same holds true for how top influencers are making money on Instagram. It all comes down to providing high-quality content for your audience, and then having a solution in place, while also monetizing the process as well. 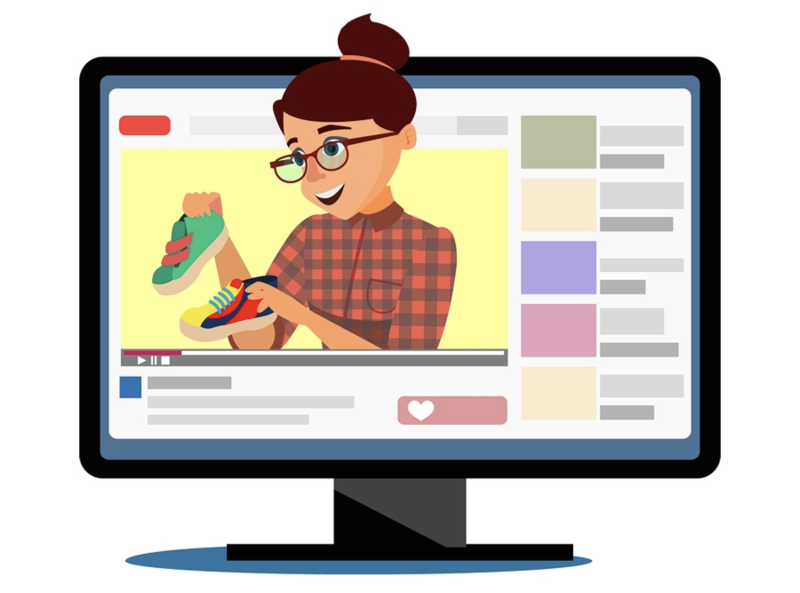 Beauty bloggers and social fashionistas are making millions of dollars through the use of their content, sponsored placements, and also providing value to their audience at the same time. If you’re spending a couple of hours on each of your posts, if not longer, you probably won’t be able to post to your blog every day. But you need to post regularly to maintain your readership. Create a posting schedule for yourself and stick to it. Even if you only put up one blog post every week, people need to be able to count on you putting it up on time. As your beauty blog starts to take shape and develop, there are going to be things that your readers love as well as things that they hate. Ask your readers for feedback every so often to gauge what they like about your blog best. You can provide them with better advice when you know what they want out of your blog. There are so many people making a living by blogging about beauty today. If your dream is to become one of them, you need to make sure you’re ready to dish out amazing beauty advice to your blog readers. By following the tips provided here, you can get yourself off to a great start. You can also grow over time as long as you push yourself to provide people with the best advice that you can. As always, feel free to check out the many other articles on this blog to further improve your writing, while becoming a better beauty blogger in the process. Freelance writers have the world at their fingertips with more than 644 million websites online. While there are millions of sites it’s not always easy to find the right ones to write for or to know how to pitch your ideas to them. Competition is fierce and it can be difficult to get your proverbial foot in the door with companies who outsource their content. One way to simplify the search for work is to focus on specific business topics or industries and specialize in the subject matter of interest to them. Find a niche you are comfortable with and you’ll write better and enjoy what you do. Many freelancers become frustrated spending the majority of their time searching for employers and getting little return for their efforts. We’ve compiled a list of seven top niches of 2019 for freelancers and included tips for how to break into them. More than seventy-five percent of technology companies outsource at least some of their written content to other companies and freelance writers. 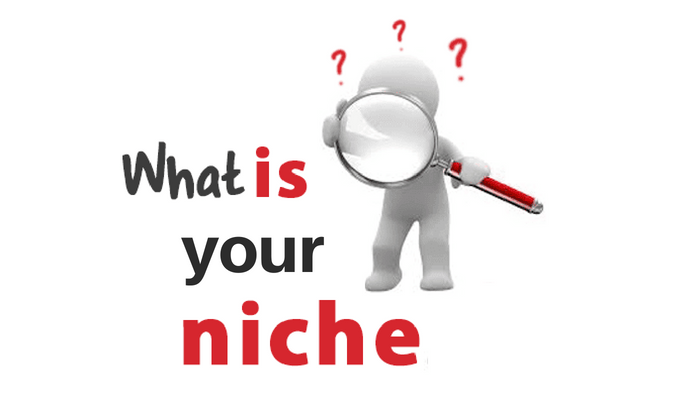 As this niche becomes more popular and widespread so do the opportunities for freelance writers to get their foot in the door and build a list of clients to write for. This is a great area to delve into because while it’s a specialized niche it is also broad enough to give you hundreds of topics and categories to write in. SitePoint has several categories that they are looking for quality content about. In the near future, they want content on UX prototyping, Node, Angular, and Vue. They pay above average rates for unique and informative content that meets their requirements. ($100-$159 per article). With over 10 million readers you’re sure to get exposure and be able to add to your portfolio by contributing to this impressive site. WordPress powers over 30% of the top ten million websites so it’s no surprise that a site about all things related to WordPress would make the list. This site does require writers to have a solid knowledge of web design and WordPress in particular. WPHUB pays well for your knowledge with article payouts between $100-$200. No matter what type of business a company runs — whether it be online, or offline — there is a need for content, SEO, and reaching new audiences at all time. With so many people focusing their efforts on virtual and online companies, many freelancers are forgetting about the world of offline business as well. Should anyone take the time to focus on these areas, they might actually find a wealth of opportunity in catering to their needs and helping them rank higher in Google. Here are some ideas and business concepts to go after. With so many people using the internet for everything these days, it’s tough to think of businesses that still are 100% offline. Car services like oil changes and repair are one of them. This is a very competitive space, and when it comes to local search and SEO, they all need new content. Need some ideas on quality content for these types of clients? It’s simple… just think anything automative + local marketing. “Where to get an oil change in New York City, NY” is a great example. Axe throwing is one of the latest new crazes making it’s way across the country. This local attraction is a big money maker too… but only if their locations can reach new audiences. Many of these businesses aren’t yet set up with a blog, and really only have local and axe throwing directory listings. Look through directories like the ones mentioned in this article, see which don’t have premium and full listings, then reach out to them and provide these services at a premium. This means there is a lot of money left on the table for freelances to come in and complete this work. Millions of people are getting married every month. At the same time, millions of others are celebrating birthday, big events, and throwing various other parties daily. With so many businesses catering to these needs, they all have a demand for more content to reach these audiences. With paid advertising being a huge factor for all of these businesses, target content to local audiences and demographics is also ideal. We will also cover more tips on how to cater to these local businesses in the social media points further down. Expressing yourself in the kitchen and cooking an impressive meal has become a favorite hobby for all ages. There are Masterchef shows and competitions in almost every country for every age. Everyone wants to be Gordon Ramsay so they turn to the internet for inspiration and direction on how to get there. Whether it’s about the food we eat, how to prepare it or the appliances and gadgets we use there’s a website looking for content to meet their visitors’ needs. Cooking Detective will pay between $120-$160 for an ultimate guide (of 3000 to 4000 words) and $75 for an article (of 2000+ words) that will satisfy the tastes of their readers. Nutri Inspector is another cooking, kitchen and nutrition site that pays above average rates for articles in this niche. You can make anywhere from $60 for a 1000 word product review to $120-$180 for a 2000-4000 word article or guide. Everyone dreams of being paid to take a vacation and more people than ever are finding a way to do just that. Writing for the travel and adventure niche is more popular and in demand than ever before. You may not want to quit your day job, sell your home and hit the road forever to become a travel writer and you don’t have to. You can submit blog posts about your latest family vacation, how to save on booking travel and the best activities, food and cultural events in your area and still make it in this niche. If you do decide to live abroad you’ll want to check out Transitions Abroad for writing opportunities. They pay between $75-$150 for articles on how to survive and adapt to a new environment. Content creation is always going to serve a huge value for marketing and reaching new audiences, but if you are only focusing on offering paid writing services, you are likely leaving a lot of money on the same. Most brands are looking to expand their growth in SEO, visual marketing, social media, and mobile as well. By exploring the different opportunities available, this could lead to additional sales and recurring income for freelancers as well. In reference to visual content, infographics and gifographics could prove to be extremely useful for your clients. In addition to offering text content creation, see if they would like to have visual marketing added into their monthly orders as well. If you aren’t sure how to create such items, you could outsource the process and charge a premium to make sure the work comes out nicely. As you can see, all of these are relevant to every business out there — and are all a requirement in addition to written text content. Many people think that dreaming of a job freelance writing means you have your head in the clouds but why not make the skies your niche and prove the naysayers wrong. There are several sites on Astronomy that accept and pay for articles written by freelancers. Each has their own set of guidelines and pay rates. It may take a little research and discussion with site editors to figure out the right topics and forum for your work in this niche. If you’re more interested in the influence the universe has on us than the universe itself you may prefer to write about astrology than astronomy. There is definitely a market in this area as well. A recent study by Blackwell showed that 100% of people surveyed knew their astrological sign and more than 25% of individuals read their horoscope every day. If you are into horoscopes, tarot cards, tea leaves or numerology you’ll want to consider adding these topics to your writing portfolio. People pay big bucks to know what the future has in store for them and they could be paying those bucks to you. It takes a village to raise a child and these days that village is in cyberspace. There are thousands of sites that offer parenting tips, resources, and budgeting suggestions for families of all shapes and sizes. Many of these sites are looking for content to attract, entertain and educate their visitors. FreelanceMom accepts guest posts on topics around parenting and pays between $75-$100 through PayPal. As the name suggests DollarStretcher helps families and individuals learn how to stretch their dollar and live on a budget. They will pay $0.10 per word for the right article to meet their needs. These are just some of the top niches of 2018 where you can begin making a profit writing as a freelancer. For more tips on freelance writing or to find the perfect freelance writing job for you be sure to check out our website regularly. Writing for the web requires a keen understanding of social media. 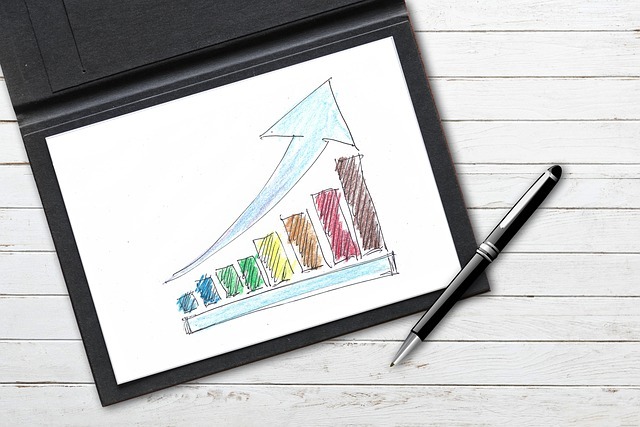 If an article or blog post is going to gain traction, it needs to have a highly sharable angle. But beyond going viral, the best writers create content that is rewarding and informative. I may be biased since C.S. Lewis is one of my favorite authors, but when it comes to children’s books, no truer words have been spoken. I believe that if there is one thing children’s books authors should always remember, it is this quote.